It protects against getting lost. VEGVISIR - also known as the Viking Compass. It is a kind of variation of Aegishjalmura (Algae shield). 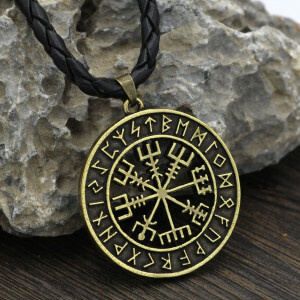 Like Aegishajlmur, Vegvisir was tattooed on the forehead. Initially, he was to ensure safety at sea, protected from getting lost. Over time, its power was expanded. 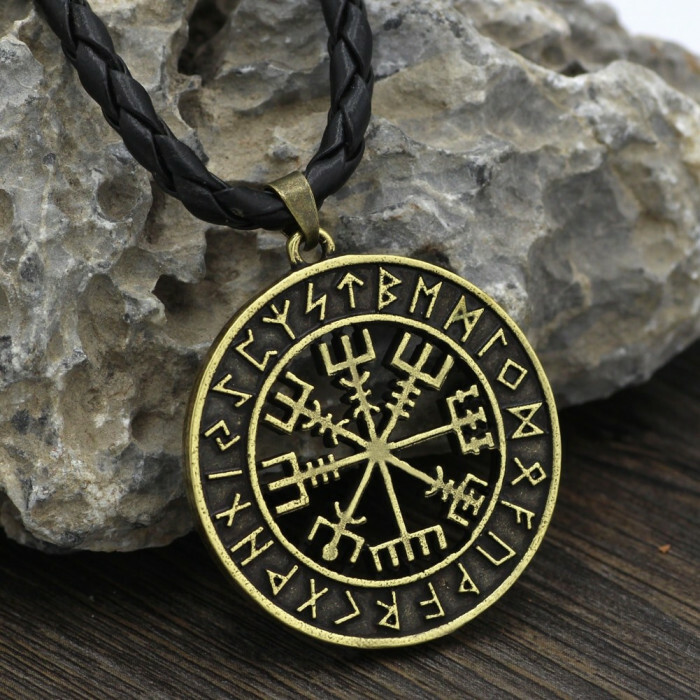 At present, Vegvisir is considered a symbol protecting against getting lost on the way on the sea, land or in the air, as well as on the way of life. He is also helpful to those who travel astral, because it protects against getting lost in this strange astral world. dobrze wykonany, solidny medalion, amulet!